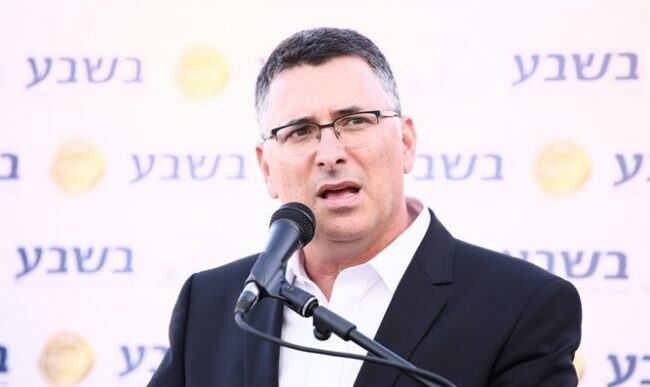 Former minister and Likud member Gideon Sa’ar participated last week in the My Israel conference. The Jewish Press reports that the Israeli High court ruled that 522 dunams (129 acres) of disputed land near Kibbutz Rosh Tzurim in Gush Etzion does in fact belong to the Kibbutz and a subsidiary organization of the Jewish National Fund. Arabs were claiming that this land belonged to them. A Palestinian Arab from Qalqilya was indicted for plotting to kill renowned pioneers of Jewish communities in Judea and Samaria, including Daniella Weiss and Moshe Zar. Daniella Weiss is a close and dear friend of AFSI. Moshe Zar is a friend who bought land and gave some to a group of young idealists in memory of his son who was killed. That is Chavat Gilad. AFSI also installed cameras there in the spring. Hearing that these two were targets of this vile plot hits us at AFSI particularly hard. We are longtime friends and admirers of these two brave leaders. Daniella’s bravery and strength was the driving force behind Kedumim where she served as Mayor for many years. Moshe Zar’s bravery is legendary. Following his son, Gilad’s murder he gave land to young idealists who created the Yishuv of Chavat Gilad. AFSI has many close friends in that Yishuv and donated a security camera to the community just last Spring. Airbnb announced that it will no longer list homes in Judea and Samaria following years of criticism of Airbnb for allowing such listings. Obviously, we don’t like this. It would behoove Airbnb to educate itself on the truth about Judea and Samaria and not use an excuse and blame it on “historical disputes.” Moreover, we think this is anti-semtisim. 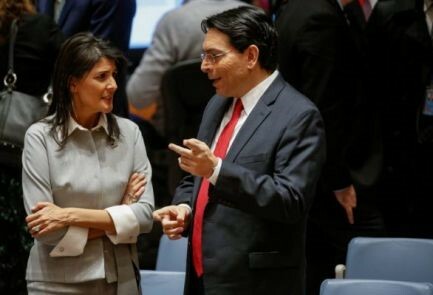 US Ambassador to the United Nations Nikki Haley says that in prior years the US abstained from voting ‘no’ on the annual UN resolution, “The Occupied Syrian Golan.” This resolution repeatedly condemns Israel and it’s “occupation” of the Golan Heights. The Jerusalem Post reports that Prime Minister Benjamin Netanyahu said on Sunday that the Golan Heights is a part of Israel and will remain under its sovereignty forever. In a nutshell, Shurat HaDin argues that because the state-owned TV channel in Gaza is run by Hamas, Facebook’s maintenance of its account is comparable to providing the organization with support and resources. Israel suffered the most intense rocket attacks this week and we know that the hateful content Facebook allows continues to incite anti-Israel rhetoric. AFSI applauds the vital work of Shurat HaDin as it works to remove anti-Israel content from this social media platform. Despite this week’s rocket attacks against Israel, a delegation of Spanish lawmakers visited Judea and Samaria to condemn Hamas terror and BDS. Initiated by the Ministry of Strategic Affairs and Jordan Valley Regional Council, the delegation will visit visit farmers, factories and industrial zones in Judea, Samaria, Jordan Valley and the Golan to witness Israelis and Palestinians working together – a stark contrast to the BDS narrative. We like that.